I’ve been playing the crap out of Rogue Legacy on GOG. Oh, and Mini Metro, of course. Subnautica is friggin amazing, I’ve been playing that too in the past weeks and can confirm, it’s a creepy game at times. You’ve said it best, you never feel safe. I love being at sea, half of my family is from a town near sea. But as my granny always said “sea offers no shelter”. Open waters can be beatiful and brutal. Subnautica really nailed that aspect along with the alien nature of the planet. 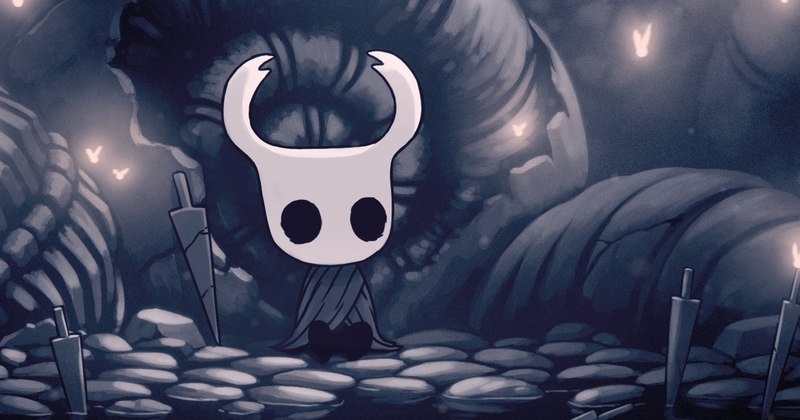 Hollow knight is such an amazing title. Waiting for the final content update in the works to be finished and then I’ll probably play it again. Lifeblood recently released, Gods and Glory announced not sure if that’s the last of it or if they’ll keep going. y i keep hesitating; do i start playing it or do i wait till they finish adding content to it? Once I’ve played it i’m unlikely to go back to it later. yeah Hollow Knight is excellent, I really need to go back and continue playing it. I am far from finishing it still. Did you manage to beat Nightmare King Grimm? I’m pretty much happy that I’ve done everything else sensible but beat him, but frankly, I don’t think I have a hope of doing so…he’s just fiery death on two legs. Hollow knight is such an amazing title. No I was unable to beat the final encounter with him, also have not really managed to beat most of the ghost versions of the other bosses or the final arena fight. Those sort of combat challenges are not my cup of tea, luckily the game has a lot of other stuff on offer as well. HE FELL TO MY BLADE. TAKE THAT FIERY NIGHTMARE KING OF DOOM! And with that I’m pretty much done. 107% complete, all endings finished. I’m not touching the speedrun stuff or the cannot die modes…and I’m going nowhere near the Path of Pain. what about Gods and Glory? When it comes I’ll be ready. You seriously need to get on Hollow Knight. It’s probably the best game I’ve played for several years. Congrats on beating Nightmare King Grimm, don’t think I’d ever be able to myself. I gave up on even banishing the Grim Troupe entirely, which I noticed you had managed. As I said these combat trials and boss fights are not really something I enjoy enough to put the effort into clearing out. Thanks. NKG took me about 2 hours of endurance. To start with I lasted about 20 seconds. Then I reassessed my strategy and got him to around 25% health consistently…and at that point I just knew that with a little persistence I’d get there in the end. Although between this battle and the final trial in the Colosseum of Fools I’m not sure which was harder…I probably spent more time on the third trial which I thought I’d never do. Out of everything I found the platforming in the White Palace the most irritating though. And in reality I’m not actually that great a gamer. Some players have insane ability…I’m just persistent. I might do that quite soon actually, i opened it yesterday and saw that u cant choose to play dlc in the menu, which i guess means it’s just built in into the game world? So maybe i can start playing it and that dlc should come out pretty soon anyway. It’s all part of the game. And to be honest It doesn’t really add that much…a couple of bonus bosses and a few charms which you probably won’t use. All in all it’s more or less challenge content bar a couple of things. I really want you to give it a go…would be interesting to hear your thoughts on it. Watching some people stream and see them going at something over and over and get better every time is something I just don’t get myself. After trying something for about 15-20 minutes I can just feel my synaptic response time get slower and slower and my brain stops being able to react to things fast enough. I rather enjoyed the white palace though. SEGA Mega Drive & Genesis Classics - Sonic The Hedgehog is actually a great deal less fun than I remembered. In fact…it’s just a bit frustrating. The key point of Sonic (going fast) is in fact his greatest flaw. And whilst I knew this already, going back to the game years later reminds me why I never stuck with it way back when on my Master System. Maybe I’ll just ditch this and play something else…although saying that I’ve ditched the Steam emulator and am using Kega Fusion with the Steam .bin files. No play time registered but much smoother.